Filled with Rare Earth Clay Beads and a special stress relieving, aroma-therapeutic blend of lavender and chamomile, this wrap is designed to calm and comfort both the body and mind. Can be used in a variety of ways to bring soothing relief to the neck, back, or other problem areas suffering from soreness. Upon heating, the Rare Earth Clay Beads naturally release a soothing moist heat to relax muscles and ease tension. Microwave safe. Non-toxic. Machine washable 100% polyester cover. View More In Heat Patches & Wraps. 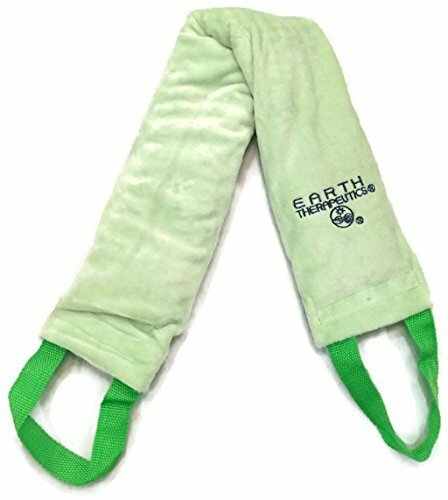 If you have any questions about this product by Earth Therapeutics, contact us by completing and submitting the form below. If you are looking for a specif part number, please include it with your message.